GR cutters are powerful, easy-to-operate devices. 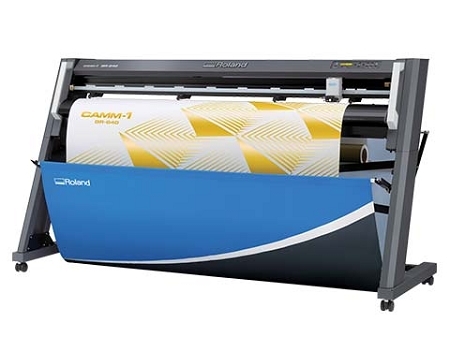 Packed with advanced and versatile new features, they are designed for a whole new level of sign, apparel, vehicle graphics and packaging production. Combine with Your Printer for Print then Cut Workflow. Roland Quadralign™ optical registration system automatically recognizes printer crop marks on printed media. Combine an existing large format printer with a GR cutter for an exact and efficient contour cut graphics workflow. Includes Roland CutStudio software and combines easily with other industry-standard software. Plugins for Adobe Illustrator (Mac and PC) and Corel Draw (PC) are also available as additional web downloads.